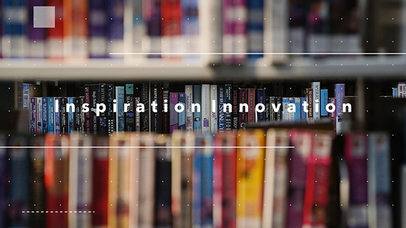 Create stunning videos with text animations! 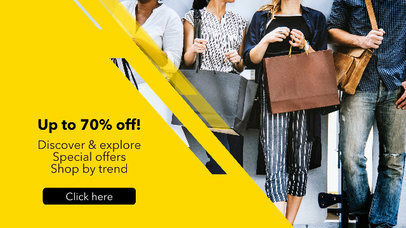 With this online slideshow maker, you can create promo videos to showcase your latest products and services in a creative and attractive way. Customize each video slides and add unique animations and original songs from Placeit's library. Try it now! Create successful youtube video campaigns with attractive video ads from Placeit! This online video maker is fully customizable to your needs and ideal for trueview ads. 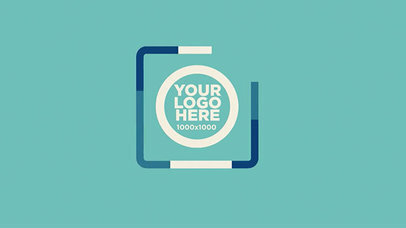 Edit the video settings with your brand's identity and add your logo with a stunning animation. Create your Youtube ad in no time! 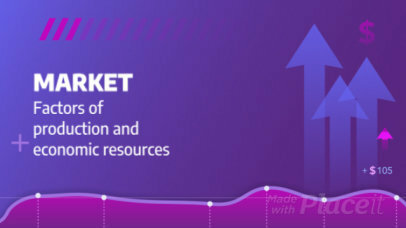 Create stunning videos with motion graphics, music and more with Placeit's online slideshow maker. 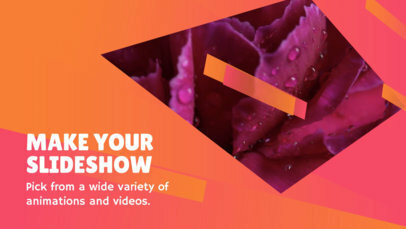 Each video setting is fully customizable to your liking, so get ready to create your own video with text animations, original videos backgrounds, and customizable layouts; you can also add more video slides from our library to create a unique video in no time! Try it now! This awesome intro video maker by Placeit is the perfect tool for you to promote your latest logo in a beautiful and professional way! You just have to drag and drop your jpeg or png image file over the interface, we will process it in just a moment. 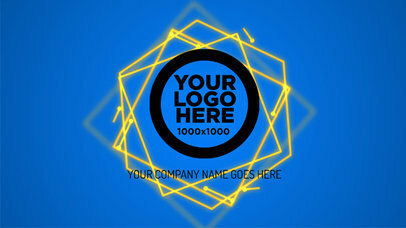 That's right, use this logo animation maker and showcase your logo floating over a blue halo while in the dark. Try another Logo Reveal! 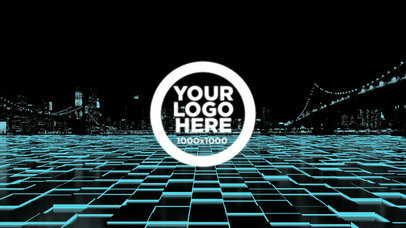 Reveal that awesome logo you just made with Placeit's easy-to-use Logo Reveal Template. 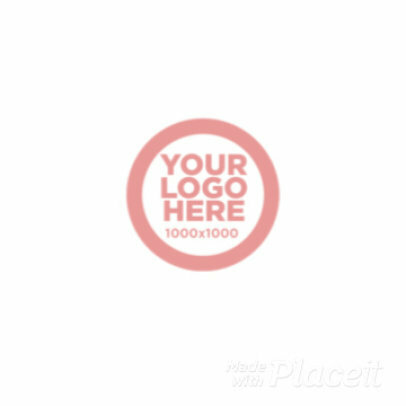 Promote your Logo and make your brand unforgettable. 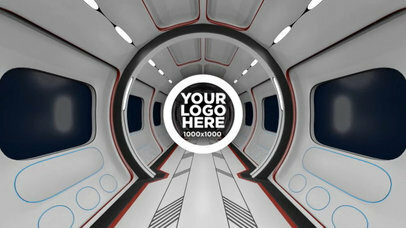 The circular graphics will bring all the attention to your design. 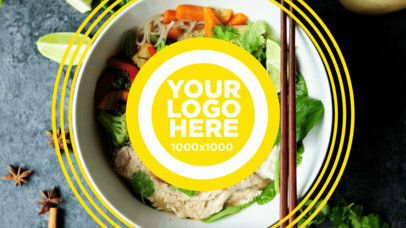 Your logo will never look better! Just upload your image and background, then select your colors. Super easy! 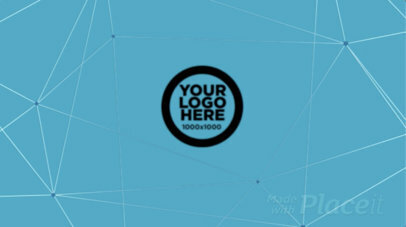 Make your Logo Reveal with Placeit now! 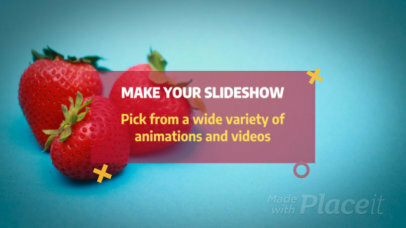 Create an amazing slideshow with this online video maker from Placeit. This video generator allows you easily edit a video with professional results that you can post in your social media accounts or website. 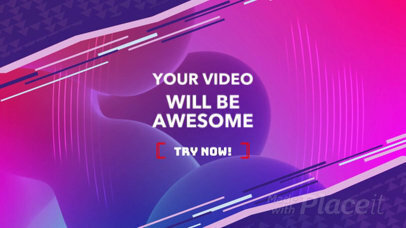 You don't need to download any special video editing software, use Placeit now and create videos like a pro with neon animations, original songs, and customizable video effects. Try it now! 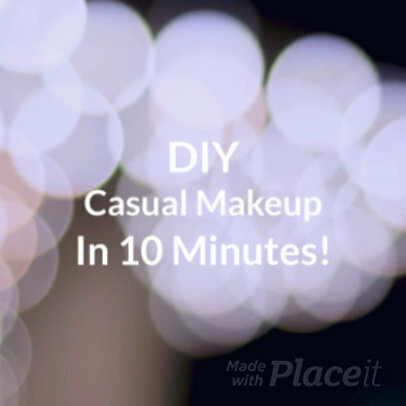 Create a slideshow for your latest makeup tutorial using Placeit's slideshow video maker with music! It's the best tool you could use to make a video, start now creating a make-up tutorial with this awesome slideshow video maker and take your videos to the next level using an advanced tool that is super-easy to use. Ready to make a catchy logo intro in no time? With our Intro maker, you will be able to choose from original logo animations and background effects to make a creative logo video animation. You can also add original songs from Placeit's music library to add a personalized style to your intro. Try it now! 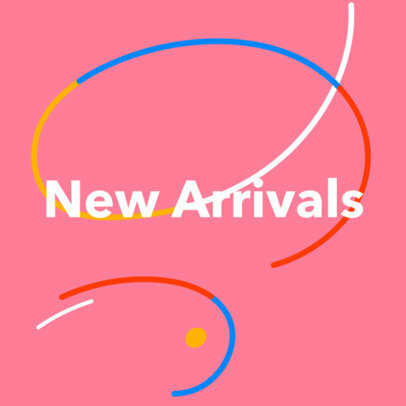 Advertise your latest products online with an amazing promotional video with animated text and a grid design to display your new arrivals or any product. All you have to do is upload your best pictures, pick your brand color palette, and your video marketing campaign will be ready to launch! Create professional videos at Placeit! This easy-to-use slideshow video maker with music will help you create professional edits with unique video transitions and text animations. Customize each video slide with your own photos, add a song from our original music library, and that's it! Create stunning slideshow videos for Youtube and Facebook in no time! Looking for creative videos to present your ideas? 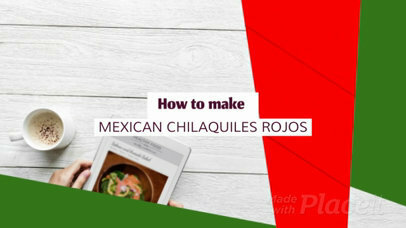 Try out our slideshow video maker from Placeit and create your own video with text and music in no time! 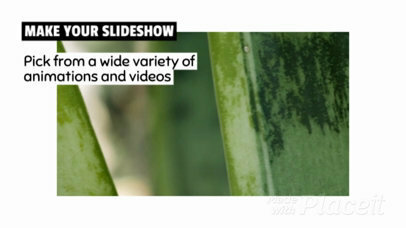 Our custom slideshows contain original videos and songs to add personality to your video. Get the most views now with a personalized slideshow video! Make your own animated video for your social media using this text animation maker! This animated template features colorful lines that move behind any text that you type in. To customize it, simply edit the text fields, pick your colors, and upload your logo. Make a perfect announcement on your Facebook, Twitter or Instagram profile with this template! 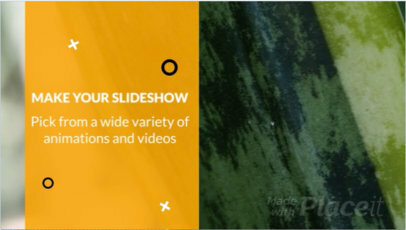 Create a modern informative video with music using Placeit's slideshow video maker with music. This amazing photo slideshow maker will let you put your own background image so that your video is truly customized by yourself. 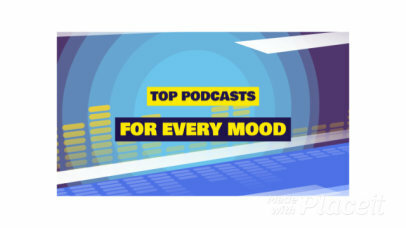 An amazing slideshow video maker such as this is the perfect choice for you to put out the best slideshow with music! 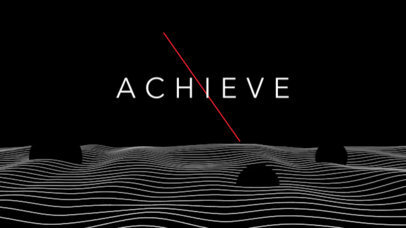 Create stunning videos in no time with modern motion graphics and animations now! With this online slideshow maker, you can create stunning videos with original songs, trendy motion graphics, and text animations by making a few clicks! 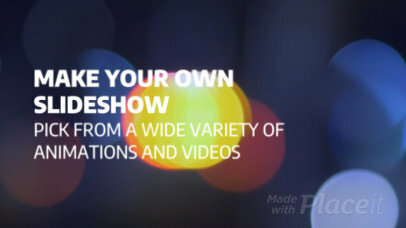 This video maker is ideal to make professional business presentations and more, try it now! 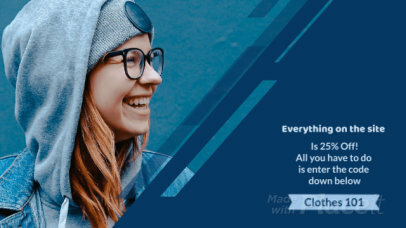 This text animation maker is just what you need to create animated videos for your social media channels, business presentations, or website. To customize this motion graphics template, simply enter in your text and select the background color. 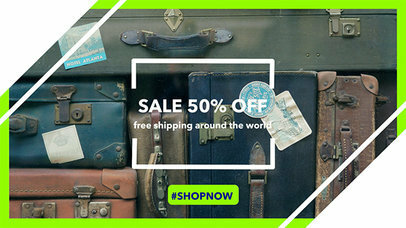 The travel icons make it the perfect animated template for your summer videos! 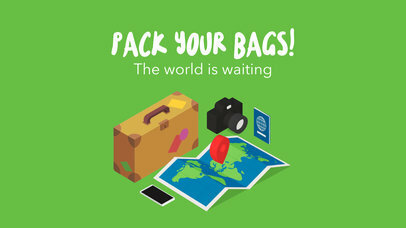 Be sure to also check out this Text Animation Maker with Travel Icons! Create stunning video ads with music and effects for Youtube campaigns with our online video maker from Placeit! 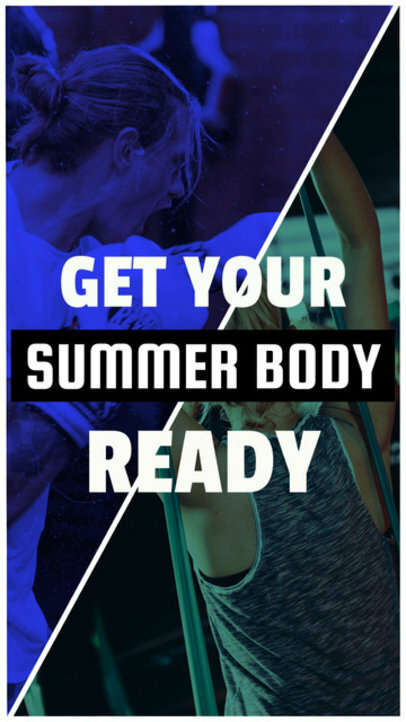 Whether you want a minimalist style or an animation with geometric shapes, we have the right animations for your video ad! 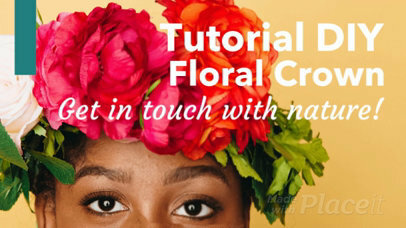 Customize the Youtube Video Ad to your liking and improve your marketing campaign right away with these amazing visuals! Present your business in an eye-catching way! 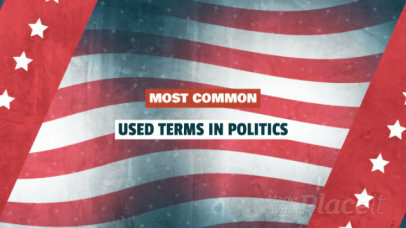 Placeit's Text Animation Videos give you all the tools necessary to create a cool opening video for any presentation. 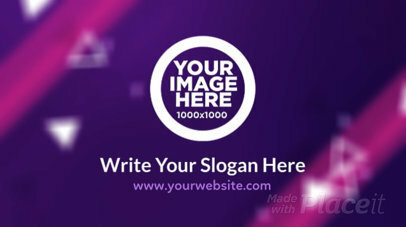 Select your background, font and upload your image. So easy! Make your Business Opener Video now! Making a logo intro is easy with this animation maker which features shifting shapes, a rotating logo, and space for your website or tagline. To use this online animation maker and make it all your own, simply enter in your text, select colors for all of the elements, and upload your company's logo. You don't need any special software to customize this animation template! 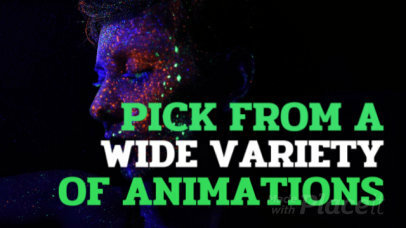 It really is that easy to create animated videos for your social media posts, video intros, or business presentations! 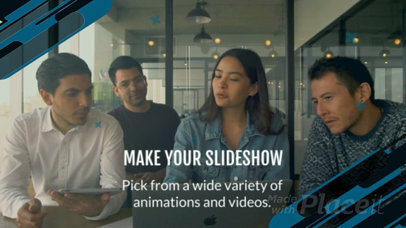 It's time to take your video presentations to the next level with this amazing slide maker from Placeit! 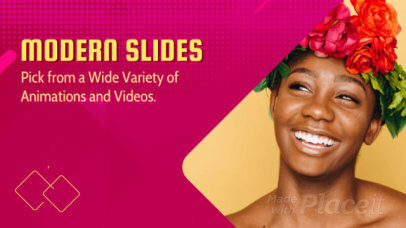 Whether you need an original video business presentation to captivate your clients or to present a final project, this slideshow video maker with music and effects has everything you need! Stop searching on how to make a video with photos and music and customize this slideshow with original songs, modern animations and video transitions. Try it out! Use an intro video maker like this one and start promoting your brand with a dynamic logo! Your customers will love to have a more visually appealing version of your brand by watching a logo reveal, specially if it was made with a logo animation maker from Placeit! 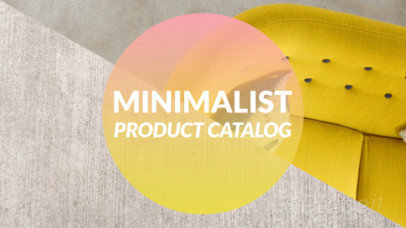 Use the menu on the left side of the page to upload your design image file and to choose a background color. Then click on the Generate button and see the amazing logo intro result. 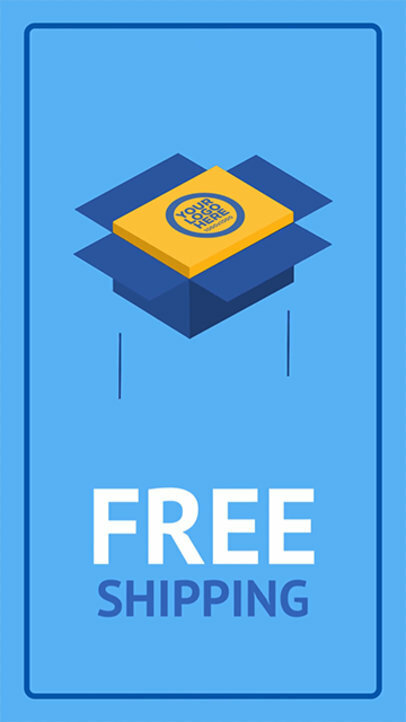 Try another Logo Video Maker! Inspire the crowd with your amazing new Business Opener. 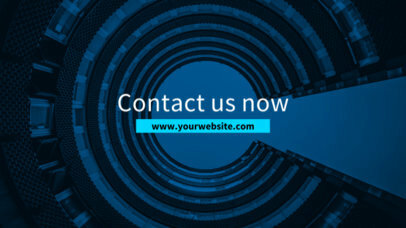 Present your new project or business in an eye-catching way! 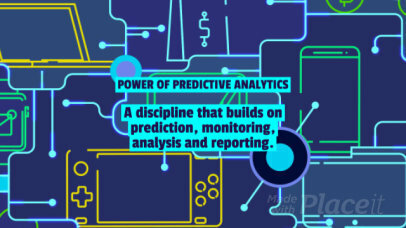 Placeit's Text Animation Videos give you all the tools necessary to create a cool opening video for any presentation. 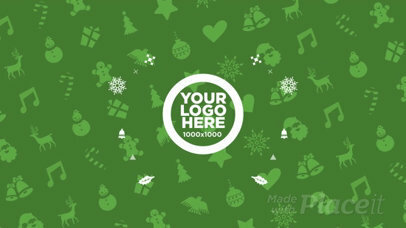 Select your background, font and upload your logo. So easy! 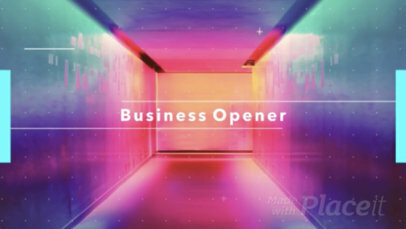 Make your Business Opener Video now! Make an animated video for your brand or company using this animation template with a simple yet elegant design. To customize it, type in your own text, upload your logo, and select the colors for the background, waves, and line accents. To watch a preview, click on generate. Next, download your video. You'll be ready to post your animation on your social media channels in no time! 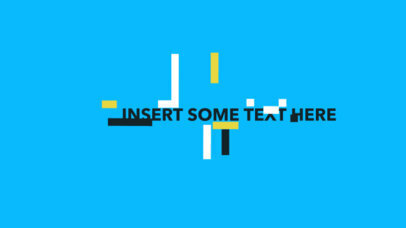 Create your own text animation video in seconds using this motion graphics template. 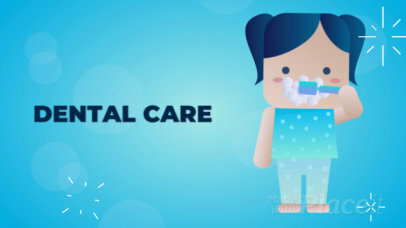 This animated video is perfect for sharing on social media, for your website, and for business presentations. 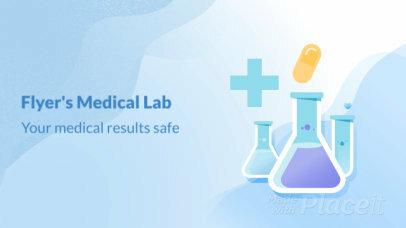 It features expanding text, a zoom in effect, and a color overlay on the background images. 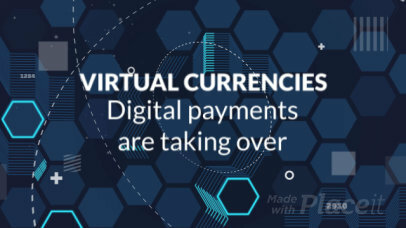 You can customize your text animation by typing in your text, selecting colors for the different elements, and uploading your own background images. Once you're satisfied, click generate to see a preview of your video. 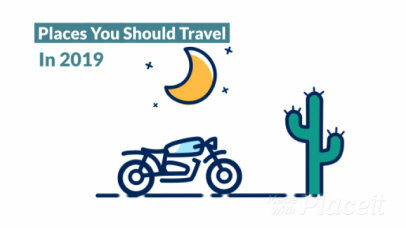 When it's all ready, click download and start sharing your video! Make a dynamic animated video using this text animation maker featuring 8-bit style graphics that jump across the screen to reveal your logo. To customize this video template enter your own text, select a color for your graphics, and upload an image or logo. Click on generate to watch a preview and then download your custom video! Try this other Text Animation Maker with Symmetrical Lines. 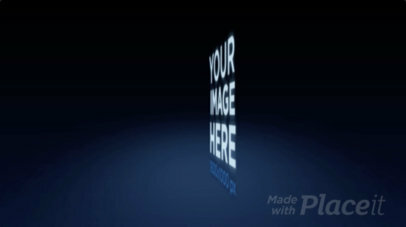 Advertise your latest promotion using the text animation maker with promo graphics! This animated text generator makes it super easy to create a text animation video that you can share on your social media accounts, on your website, or in your monthly newsletter. 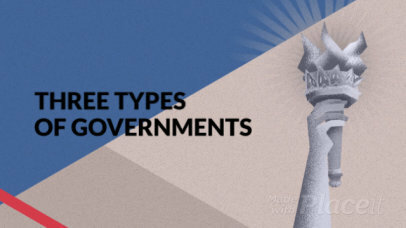 To use this motion graphics template, start by entering in your text. Next, select colors for all of the different graphics. Finally, upload a background image into the animation maker and hit generate to see a preview of your video. Once your video is ready, hit download and start sharing it with your followers! 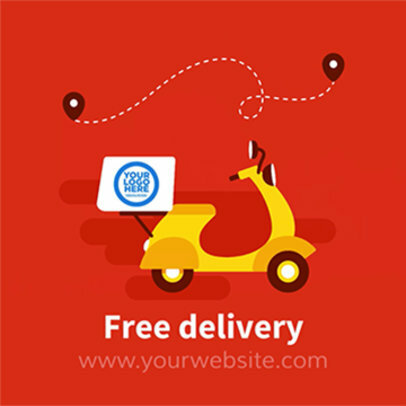 Get the attention of your customers by posting this fun and dynamic food delivery text animation. 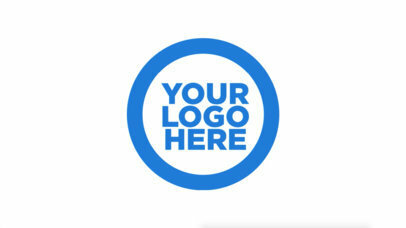 You can add your brand’s name, website, a call to action, phone number, or whatever works for you! This text animation template will let your customers know that you deliver to their location and it will make you look like a pro!